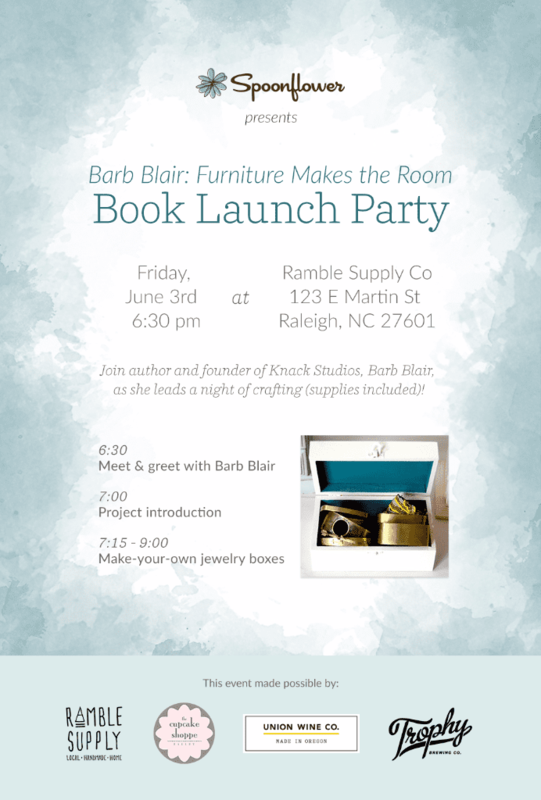 Join author and founder of Knack Studios, Barb Blair, as she leads a night of crafting ( supplies included)! 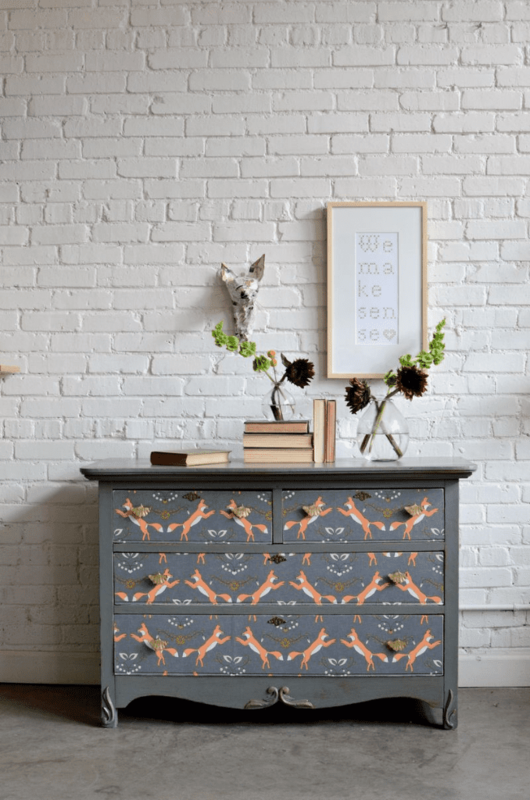 Using techniques from her newest book, Furniture Makes the Room, the “queen of milk paint” will lead you in making your very own refinished jewelry box using supplies (yes, including the jewelry box!) provided by Spoonflower, the leaders in digital custom design. Enjoy light refreshments and snacks as you craft the night away. Featuring instructions for 15 before-and-after furniture projects including dressers, tables, beds, and more in Blair’s signature bold style, a “toolbox” section detailing favorite techniques and materials, and photos of dozens of inspiring interiors, Furniture Makes the Room unlocks the secrets to decorating livable rooms around statement pieces. Arrive by 6:30 p.m. to learn more about the inspiration behind Barb’s newest book and make a take-home project of your own. Want a sneak peak at what we’ll be making? Visit last Tuesday’s blog post when Barb showed us how to update a jewelry box in under an hour! Refreshments provided by Trophy Brewing Company, Union Wine Company, and Cupcakes by The Cupcake Shoppee! Ready to join in on the fun? RSVP today!